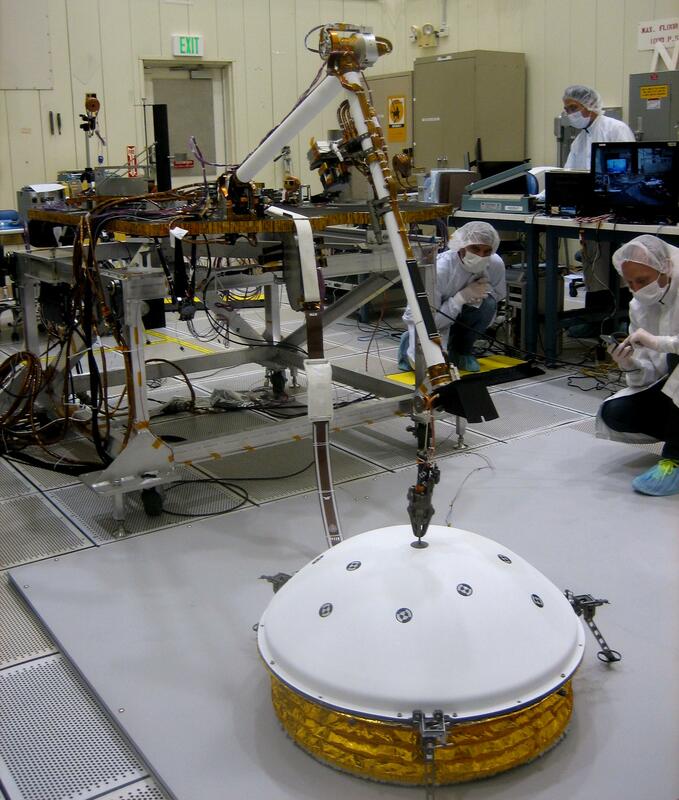 In the weeks after NASA's InSight mission reaches Mars in September 2016, the lander's arm will lift two key science instruments off the deck and place them onto the ground. 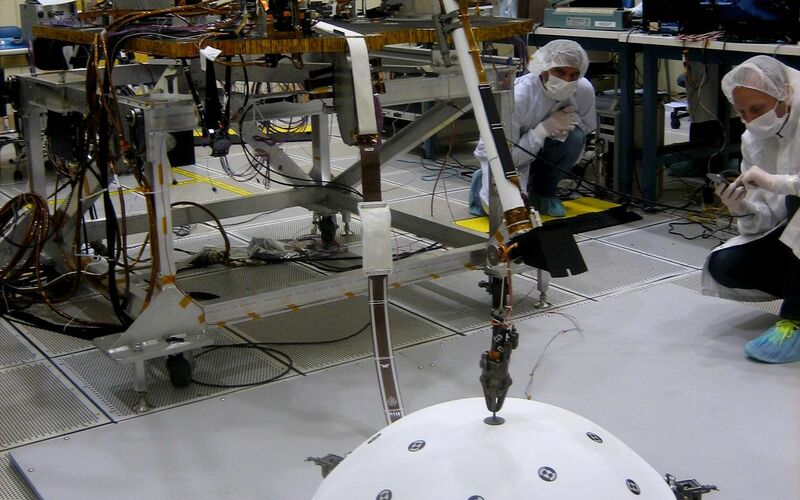 This image shows testing of InSight's robotic arm inside a clean room at NASA's Jet Propulsion Laboratory, Pasadena, California, about two years before it will perform these tasks on Mars. InSight -- an acronym for Interior Exploration using Seismic Investigations, Geodesy and Heat Transport -- will launch in March 2016. It will study the interior of Mars to improve understanding of the processes that formed and shaped rocky planets, including Earth. 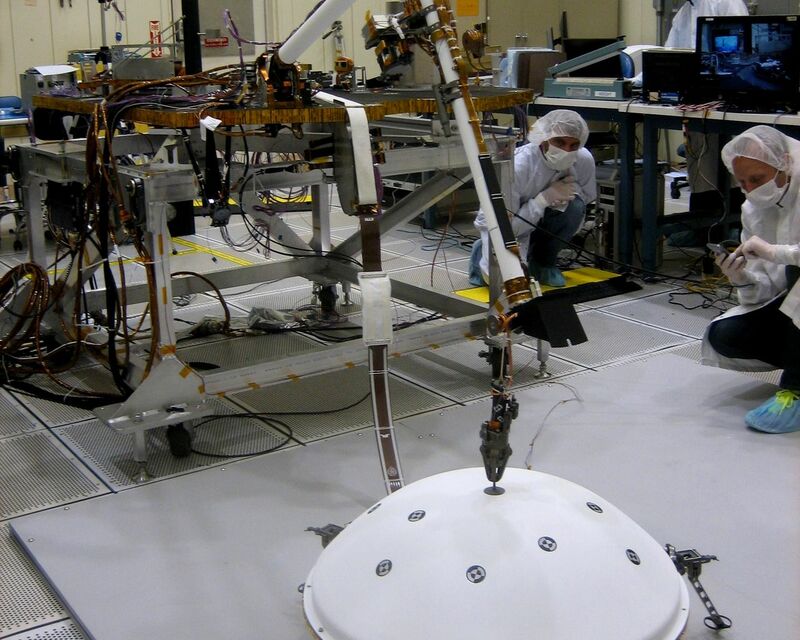 One key instrument that the arm will deploy is the Seismic Experiment for Interior Structure, or SEIS. It is from France's national space agency (CNES), with components from Germany, Switzerland, the United Kingdom and the United States. 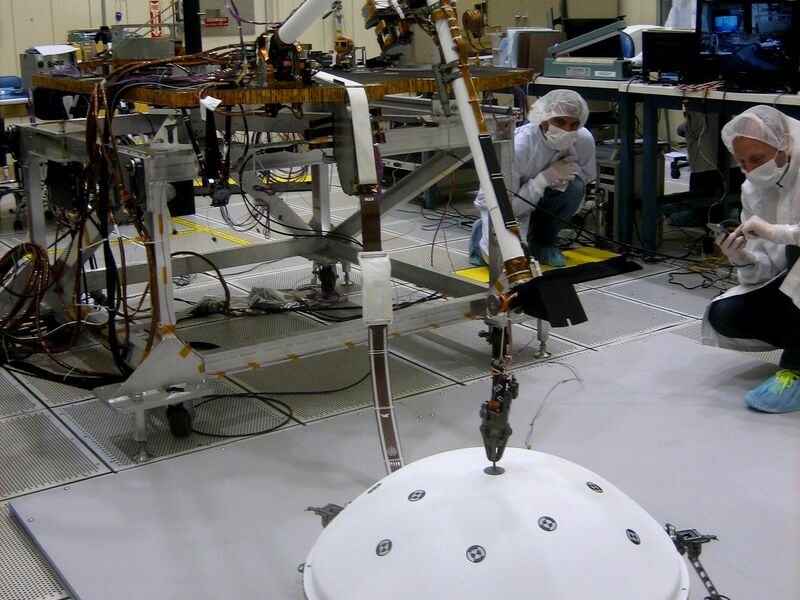 In this scene, the arm has just deployed a test model of a protective covering for SEIS, the instrument's wind and thermal shield. The shield's purpose is to lessen disturbances that weather would cause to readings from the sensitive seismometer. InSight is part of NASA's Discovery Program of competitively selected solar system exploration missions with highly focused scientific goals. NASA's Marshall Space Flight Center in Huntsville, Alabama, manages the Discovery Program for the agency's Science Mission Directorate in Washington. NASA's Jet Propulsion Laboratory, a division of the California Institute of Technology, Pasadena, manages InSight for the NASA Science Mission Directorate. Lockheed Martin Space Systems, Denver, is building the spacecraft.